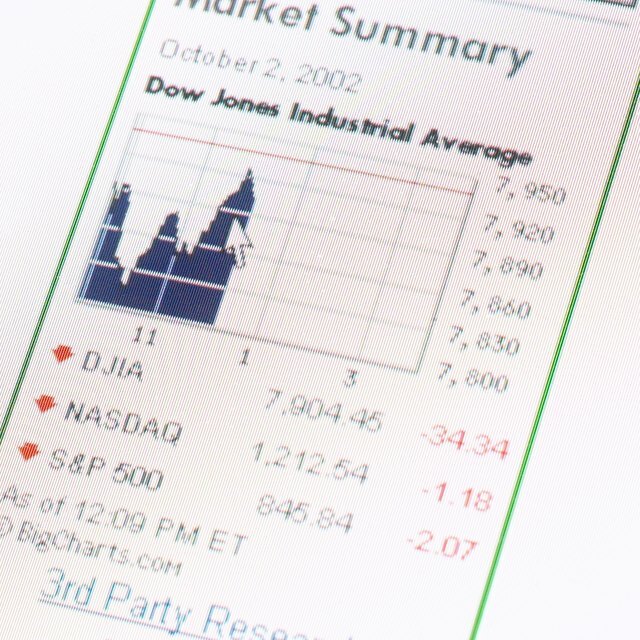 The Dow, Dow Jones Average or Dow Jones Industrial Average (DJIA) are all terms for a measure of the profitability of the New York Stock Exchange. The DJIA does not measure the stock value of every public company in the U.S. but rather the value of a select 30 companies. The Wall Street Journal and Dow Jones & Co. devised the DJIA in 1896. At the time, the DJIA measured 12 significant U.S. companies, which were dealing largely in such commodities as cotton, tobacco, sugar and coal. The DJIA's purpose is to serve as a measure of the performance and health of publicly owned companies in the U.S. and thus its overall economy. The 12 original DJIA companies represented the nation's industrial sector. The current 30 DJIA companies represent both industry and services. They include DuPont (chemicals), Chevron (oil and gas) and Merck (pharmaceuticals), as well as McDonald's (fast food), Coca-Cola (beverages) and JPMorgan Chase (banking). The DJIA is not simply the stock average of 30 companies divided by 30. It is a complex calculation of those companies' stock prices, factoring in stock splits, spin-offs and other influences. The DJIA is a significant measure of stock value, but so too are the Standard and Poor's 500 and the Nasdaq Composite, among other indexes.